Shan state is the agricultural centre of Myanmar, it produces 90% of fresh produce for the entire country. The houses are built on stilts and villagers 'park' their long tail boats in a single or double 'garage' under the house! These innovative farmers have worked out a method of producing various crops on water. Particularly fruitful is the production of tomatoes, which are unloaded early morning in Ngaungshwe town, a great opportunity for some pics. Their existence depends on the crystal clear water so they keep it extremely clean, as they also source their food from the lake. Freshwater fish is a favourite and up until recently, they used the traditional net fishing method, whereby a fisherman uses one leg to steer the boat with the paddle while he fishes with a dome shaped basket. The closest main town is Nyaungshwe. It is common to see ceremonial boats amongst the villages, such as the coming of age for boyhood celebrations we saw. Lotus flower fabric: 1000 lotus flower stems are used to make one woven scarf which takes 4mths to make. The fibre is obtained from inside the stem and woven using a loom. The fabric feels soft like organic cotton and is naturally beige in colour. These scarves cost 150USD and are uniquely sold on the lake. Silversmith: Myanmar is is one of the most naturally rich geological countries in the world. To make the finished product such as a small pair of earrings of the Pa-O tribe, the process takes up to 2 months. They first mine the rock, then separate the metals, and painstakingly beat the stone into shape using traditional tools by hand. Cigar rolling: A lot of people still smoke in Myanmar today. You can buy the leaves from local markets and roll them using a variety of different ingredients. They either make the cigars themselves or buy them from a vendor who sells them, just like a hotdog stand. 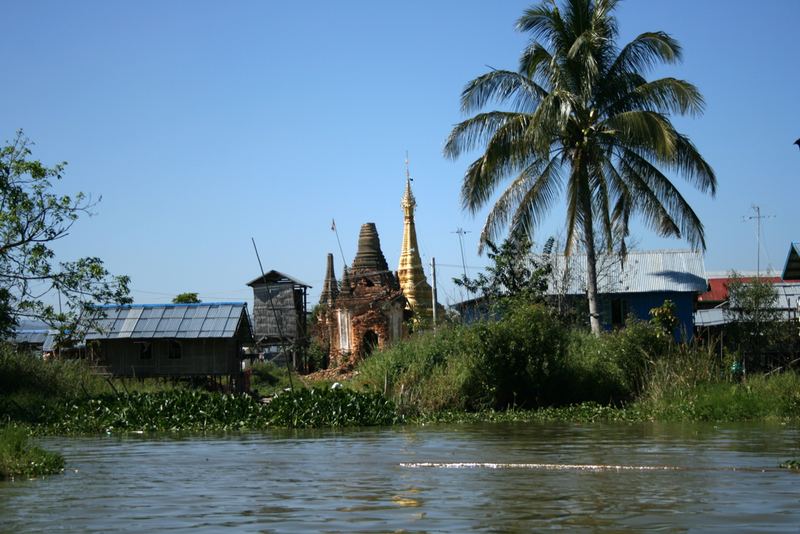 Guided tours hopping around the villages on Inle Lake. Be prepared for the temperature change throughout the day. At 6am, it is freezing. By 10am it get's extremely hot so make sure to wear layers you can take off. Also wear sunscreen + hat + sunglasses as you are stuck on the boat for the duration of the tour except for lunch + visits. For lunch you will be taken to a spot that is clearly commissioned. This is not included in the price of the tour. Try and find an eco tourist guide. They tend not to be tourist traps as they are more community orientated. You will be taken to local artisans that are clearly commissioned likewise. Don't feel forced to purchase the goods if you don't want to.